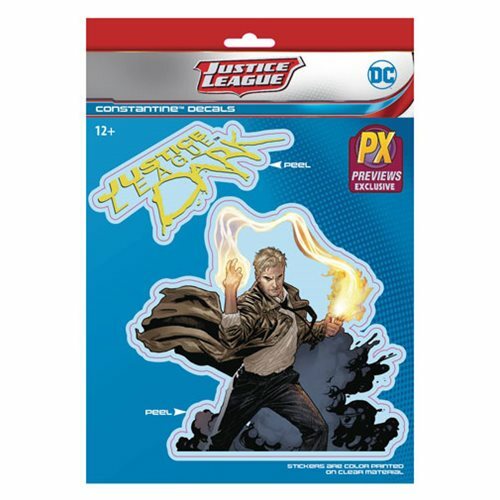 Watch John Constantine in action with this Previews Exclusive Justice League Dark Constantine Vinyl Decal! This awesome decal is made of high quality polyester and then printed. This Justice League Dark Constantine Vinyl Decal - Previews Exclusive is perfect to use on car windows, laptops, tablets and more. Ages 12 and up. DC Comics Bombshells Hawkgirl Vinyl Decal - Previews Excl. DC Comics Bombshells Stargirl Vinyl Decal - Previews Excl.